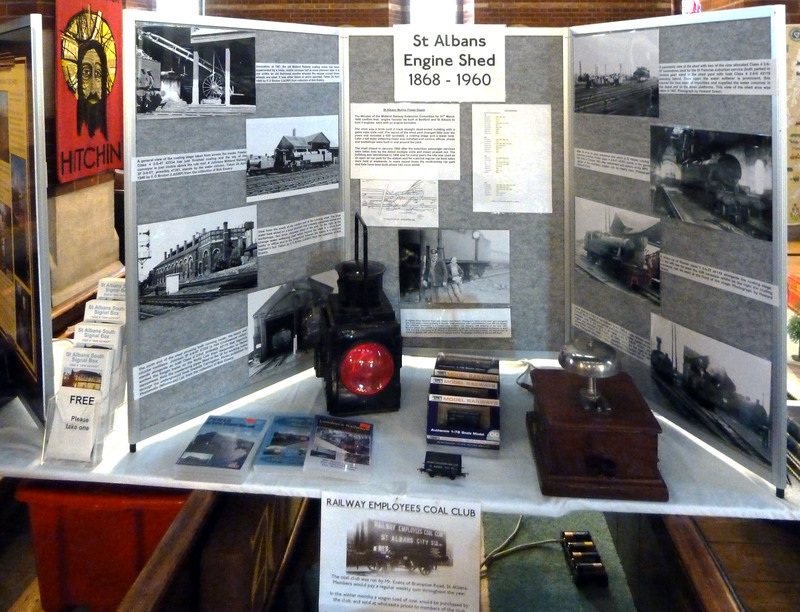 We were invited to put on a display at this exhibition at St Saviour's Church in Hitchen. 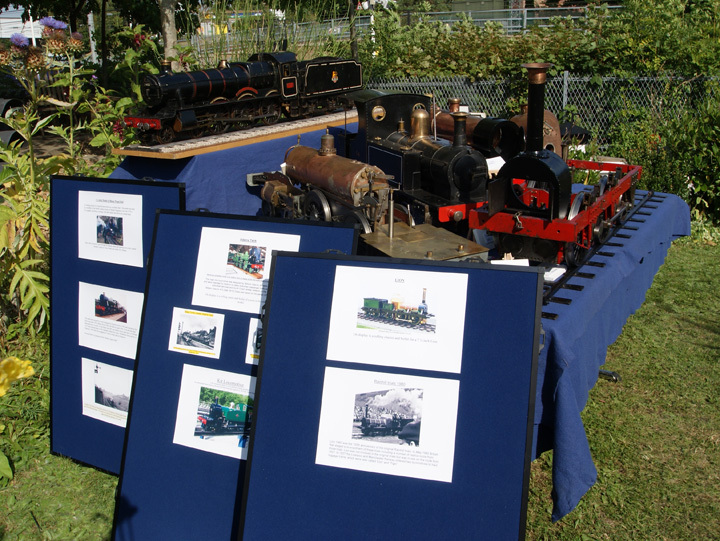 Courtesy of a visitor, Mr J Scott, we are able to bring you a couple of views of our display. 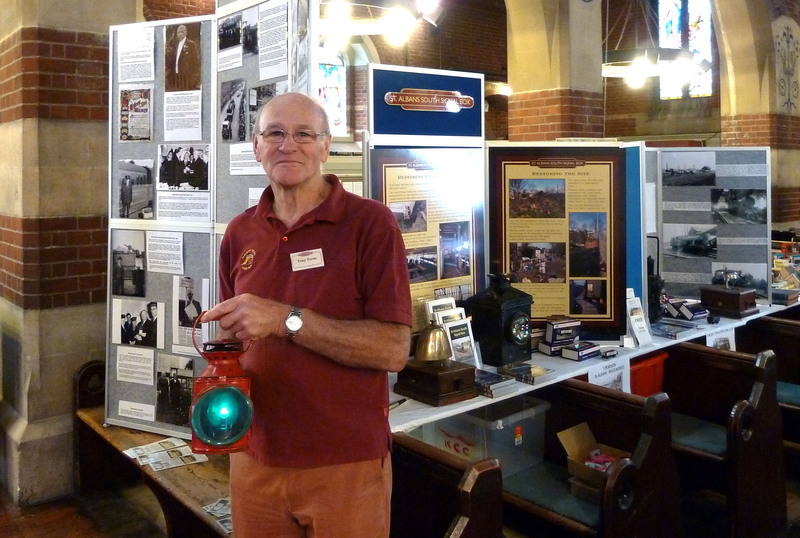 Right Tony Furse gives a green light, far right a close-up of the far part of the display. 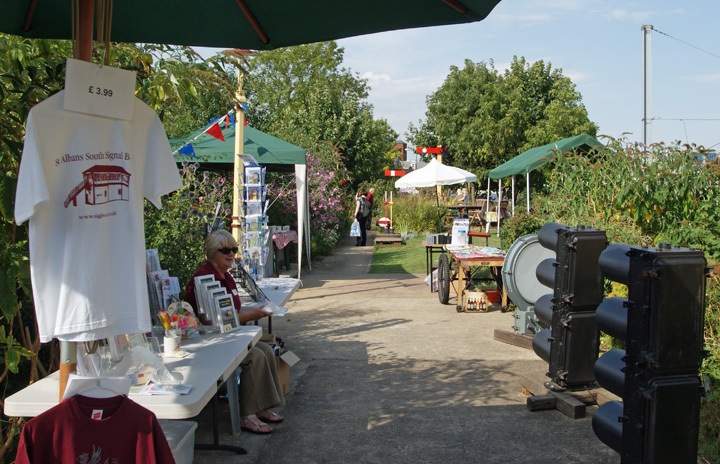 Right is the view that greeted our visitors - note one of our new T-shirts on the left! Far Right our members tell some of our visitors how the box used to work. 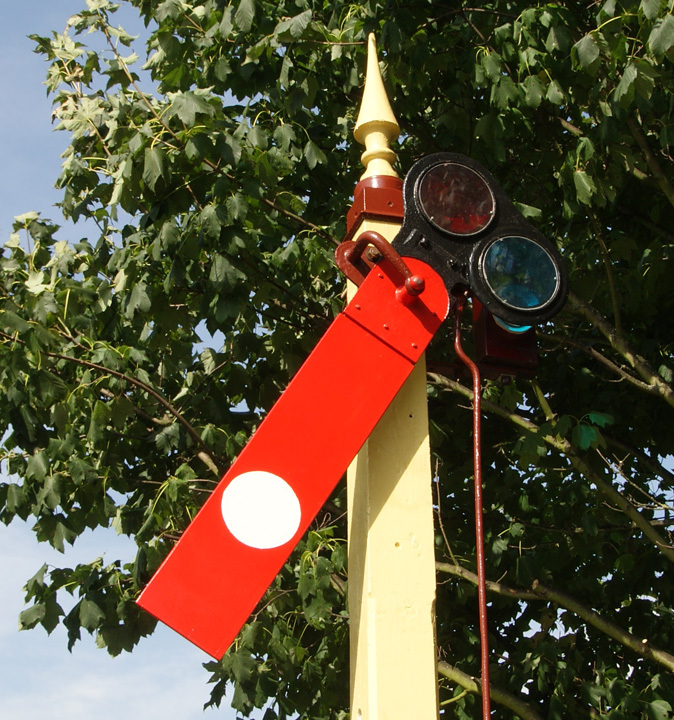 Right The new Midland Railway signal was completed just in time to take people's attention at the end of the garden. Right For the first time members of the North London Society of Model Engineers exhibited some of their models, although they weren't steaming, alas! Yet again the District Council did not circulate the booklet on the attractions, neither, despite protests last year, were we part of the 'Giant Monopoly Game' round the city, so as happened last year our visitor numbers were around the 300 mark. 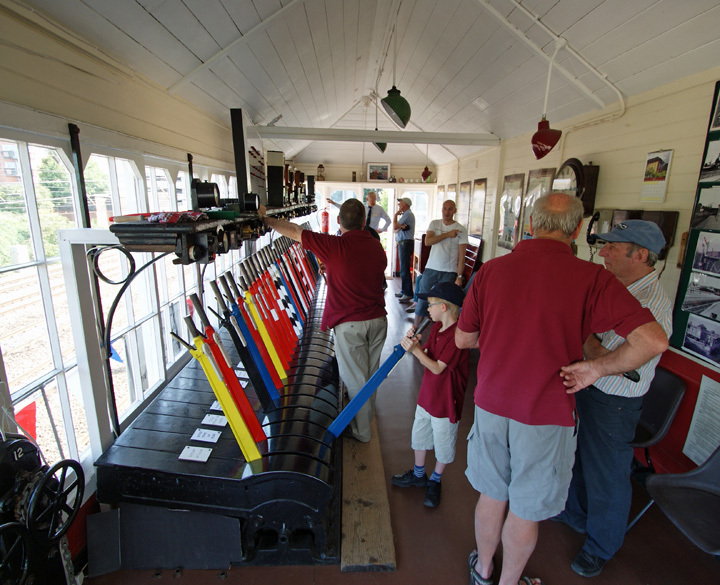 Right But in the carpark outside the box we had a miniature traction engine in steam. At last a few things we can show you! Right - Repainting of the exterior has got underway at the South end of the box, which gets the worst exposure to sun and rain. 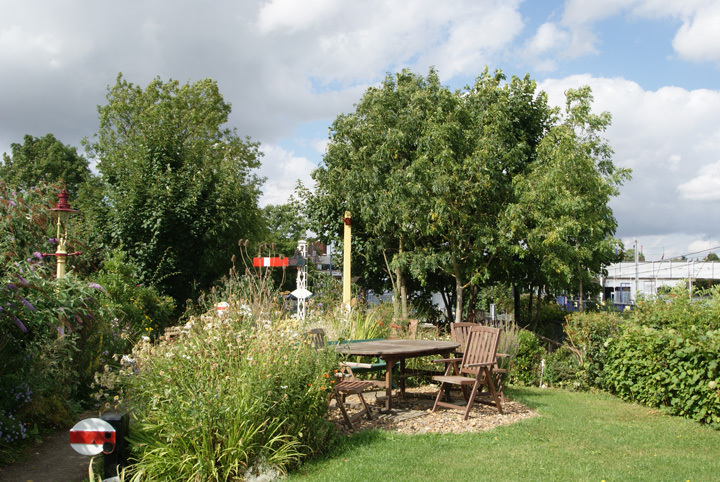 Far Right - the North end of the garden showing how the sun and rain has encouraged plant growth. 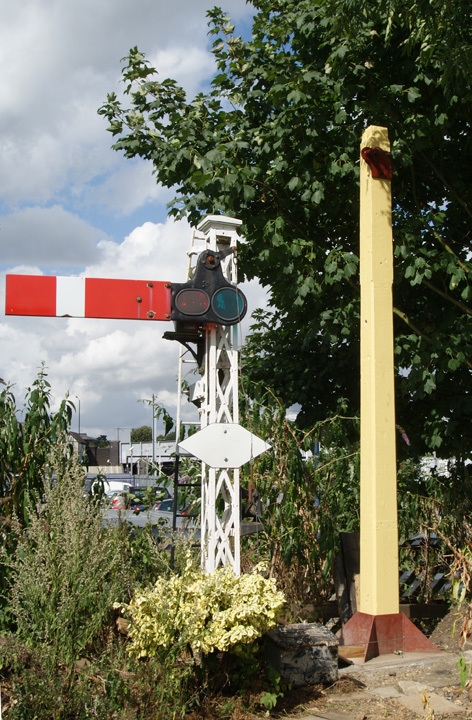 Also visible 'newly planted' is the post for our new Midland Railway signal - see below. How the post was 'planted' by the Wednesday afternoon crew and others. 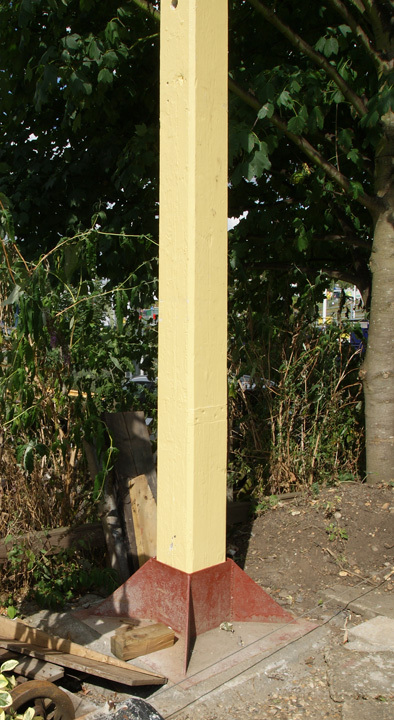 Right: the post is carried along the path. Far Right: The post is about to be lifted into its holder - see pictures below. 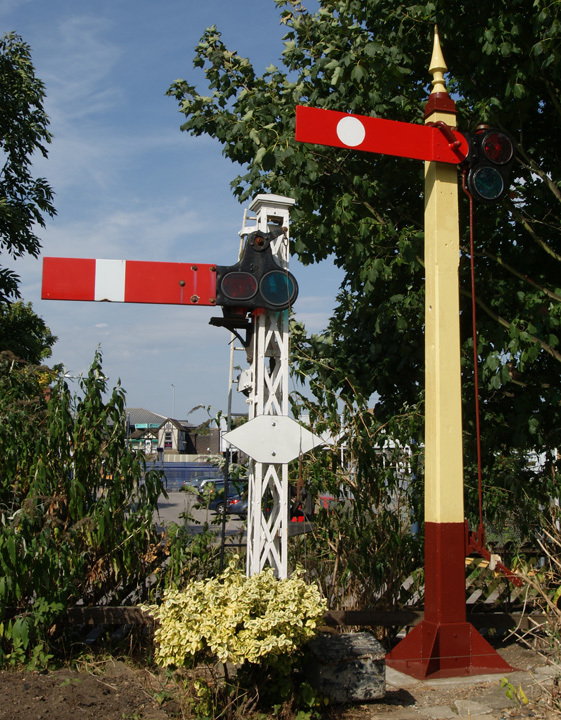 Right - the new post for the 'new' signal seen from a closer viewpoint, awaiting the fixing of the arm and operating mechanism so it can be worked from lever 32 in the box. Far Right - The substantial steel socket made by our members to hold the post to a very large lump of concrete buried in the ground.